The newly-established high-powered National Economic Council (NEC) is to draw inputs from multiple stakeholders to ensure sound policies to steer socioeconomic growth. 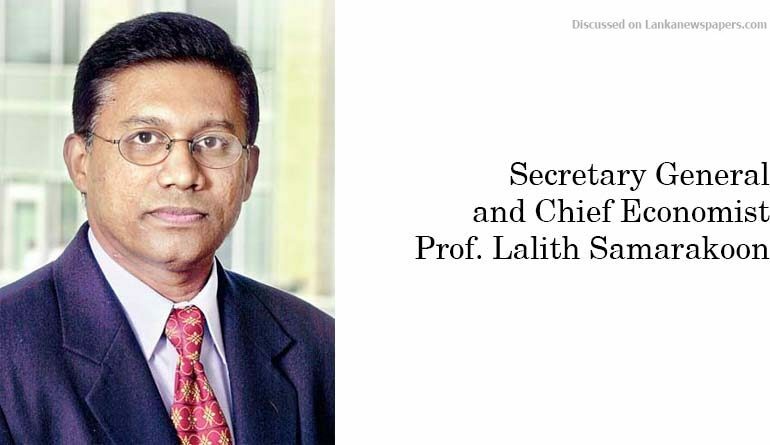 Its Secretary General and Chief Economist Prof. Lalith Samarakoon told journalists yesterday that the council,which is chaired by President Maithripala Sirisena and also includes Prime Minister Ranil Wickremesinghe, will shortly appoint an advisory board akin to a think tank focusing on four themes – economic, social, environment and civil society – and will draw local and global experts as and when needed. Additionally, the NEC will also set up an industrial and business advisory group drawing inputs from business leaders, entrepreneurs, industrialists and SMEs. Such an all-encompassing and inclusive consultative approach is required given the crucial mandate given to the NEC by Cabinet. The NEC was set up since there was a need for an apex body to formulate sound economic policies and initiatives and coordinate and follow up effectively with relevant institutions for efficient implementation, according to Prof.Samarakoon. Meeting biweekly, the NEC will report to President Sirisena through the Cabinet. Apart from the President and Premier, the 10-member NEC comprises the Minister of Finance, Central Bank Governor, Secretary to the President, Secretary to the Prime Minister, Secretary to the Cabinet, Secretary to the Treasury and Secretary to the Ministry of National Policies and Economic Affairs. Decisions taken by or proposals submitted to the Cabinet Committee on Economic Management (CCEM), which the Premier chairs, have to be referred to the NEC for advice and observations before seeking final Cabinet approval, according to Prof.Samarakoon. “All new policies that have an economic impact will be reviewed by the NEC before they are submitted to Cabinet by line ministries. If and when needed, the NEC will make recommendations on such proposed policies and initiatives after a proper study and analysis with professional and other stakeholder inputs,” Prof.Samarakoon said. “We will essentially support sound policy formulation, ensure consistency with broader Government objectives as well as implementation,” he added. The mandate of NEC includes advising the Government on matters relating to economic policy, policy formulation, coordinate with relevant institutions, review existing institutional structure, making recommendations for quality decision-making and efficient implementation of policies and proper monitoring. The NEC will soon move to an office at the World Trade Centre with an initial professional staff of around 20 and later expand to 40. It will have experts who will analyse policies and make recommendations if and when necessary considering broader economic, fiscal and financialimpact issues. So farthe NEC has had several consultative meetings with a host of ministries and officials to find out in advance various policies and programs proposed by them and crystalisingthem where necessary. Some of the ministries include the Ministry of Power and Energy, Ministry of Megapolis, Ministry of Public Enterprise Development, SriLankan Airlines, Ceylon Petroleum Corporation and the Central Bank. “The broader goal of NEC is to ensure policies and proposals are introduced after due consultation and impact analysis. This way the Government can ensure coherent and consistent policiesthat are critical for higher and sustainable socioeconomic prosperity in the country,” Prof.Samarakoon emphasised.